Automotive Interior clearcoats, for rigid and flexible substrates, represent an important segment within the automotive coating domain. Besides providing good aesthetic appeal to the automotive interior, these coatings are intended to ensure long-term protection of interior surfaces from the damages during their service life. Resistance to chemicals and fluids, scratch resistance and prolonged preservation of aesthetics are among the important attributes of such coatings. Such coatings, therefore, need to be formulated by careful balance of physical, mechanical and haptic properties. Crosslink density of the cured coating (XLD) and its Solubility Parameter (SP) are the two Predominant factors influencing the properties of clearcoats based on a given chemistry. XLD, which is a measure of number of crosslinks between polymeric chains per unit volume of coated film, has profound effect on coating microstructure, and hence on both chemical and mechanical properties. In general, at a given DFT, coatings with higher XLD have lower free-volume and hence tend to resist permeation of solvents and fluids into the coating, providing good resistance to chemicals and fluids. Such coatings also tend to be stiffer (higher modulus) and exhibit greater scratch resistance. SP of the coating film provides information about its affinity to various chemicals and solvents. A chemical or solvent can effectively permeate a coating if its numerical value of SP is comparable to that of the coating. Thus, SP is an important factor affecting resistance of chemicals such as DEET, suntan lotion, oils, and greases, to name a few which frequently encounter automotive interior surfaces. Our present study investigates the effects and interactions of XLD, SP, and DFT on the performance of the interior automotive clearcoats. We have formulated a range of 2K Polyurethane and Polyol/Melamine type coatings, with varying XLD and applied at various DFT, and their chemical and mechanical properties have been measured. The XLDs were determined by the swelling method using thirteen different solvents with varying SP. XLDs have also been determined using Dynamic Mechanical Analysis (DMA). The results of this study provided us with some useful information and insights on how these inter-related and complex factors playout. The outcome of this study is very useful for both formulators and end-users of such coatings, in material selection, troubleshooting, as well as in optimizing the performance of automotive interior clearcoats. Parth Vagholkar is DSCT FOCUS Scholar and a senior graduate student of MS program in Polymer and Coatings Technology at Eastern Michigan University. He has a bachelor degree in Polymer Engineering and Technology from the Institute of Chemical Technology, Mumbai, India. As a part of his MS degree, he is currently working on a research project on automotive clearcoats under Prof. Vijay Mannari’s supervision. 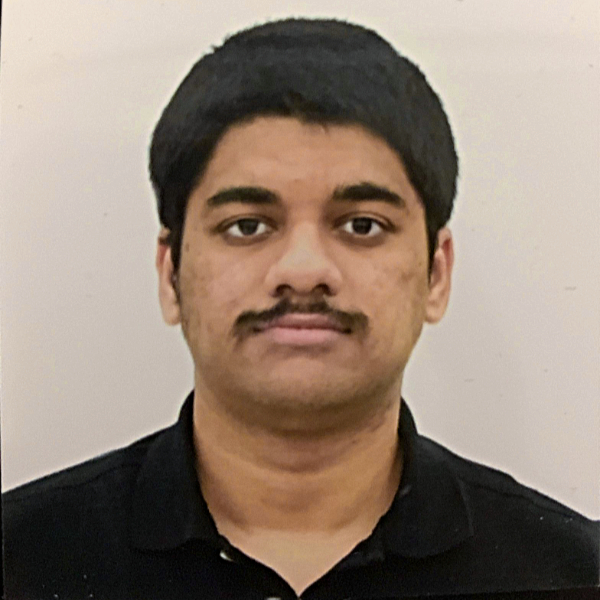 Besides DSCT FOCUS scholarship, Parth Vagholkar is also a recipient of two scholarships— Kuo Chang-Pei Scholarship and Polymers & Coatings Scholarship by the College of Technology at EMU.